Understanding Colorado Domestic Violence Crimes – Wiretapping 18-9-303 C.R.S. vs Obstructing Telephone Service- C.R.S. 18-9-306.5 - Denver Criminal Attorney Specializing in Domestic Violence Cases - Colorado Criminal Defense Lawyer. Understanding Colorado Domestic Violence Crimes – Wiretapping 18-9-303 C.R.S. vs Obstructing Telephone Service- C.R.S. 18-9-306.5 – In a Colorado domestic violence case – there are often common characteristics in the charges filed against the accused. Many times one party – seeking to call 911 – is forced by the other party to either hang up the phone or otherwise – in some form – interrupt the call by the damage or destruction of the phone itself – usually a cell phone. In this scenario – one of two charges is usually filed… Obstruction of Telephone Service 18-9-306.5 or Wiretapping 18-9-303. 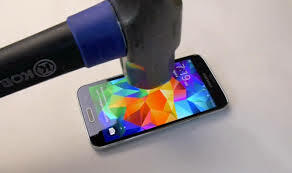 If the phone is broken or a line cut – an additional charge of criminal mischief is also possible. A person commits obstruction of telephone or telegraph service if the person knowingly prevents, obstructs, or delays, by any means whatsoever, the sending, transmission, conveyance, or delivery in this state of any message, communication, or report by or through any telegraph or telephone line, wire, cable, or other facility or any cordless, wireless, electronic, mechanical, or other device. Telephone Obstruction is a class 1 misdemeanor. In the State of Colorado, a class 1 misdemeanor carries a maximum possible punishment of up to eighteen (18) months in jail and up to a $5,000.00 fine. Wiretapping can be charged as a class 1 misdemeanor. In the State of Colorado, a class 1 misdemeanor carries a maximum possible punishment of up to eighteen (18) months in jail and up to a $5,000.00 fine. It can also be charged – (see the statute) as a class 6 felony – which is punishable by a sentence to prison (DOC) for a period of 1 year to 18 months and a $100,000.00 fine. Is the person you are calling the police to come to the scene to arrest your enemy? If you inform the police of an even a minor or suspected act of domestic violence – that person will be arrested. If you call 911 and then hangup – it amounts to the same thing. Once the numbers 911 are dialed – that is the point of no return. You cannot take the call back. Your life and the life of your significant other may never be the same after the police arrive. Make the decision to call 911 carefully and with a great deal of thought to the consequences. If you are in custody on an act of domestic violence and you make calls on the jail provided phone- jail officials are recording these calls. If you make incriminating statements – they will be used against you in the prosecution. These calls are not in violation of Colorado’s wiretapping statutes, sections 16-15-102(10) and 18-9-303, C.R.S.2010 because you have “no reasonable expectation of privacy in them.” . To qualify as wiretapping – a call must be “unlawfully intercepted” under § 16-15-102(10). Where a party consents to interception of a telephone call, the call is not ” unlawfully” intercepted, and statements contained in the contents of the call are admissible at trial. By using the jail phone – you are consenting to having your conversations recorded… don’t make this common mistake. ABOUT THE AUTHOR: H. Michael Steinberg – Email The Author at hmsteinberg@hotmail.com. A Denver Colorado Criminal Defense Lawyer – or call his office at 303-627-7777 during business hours – or call his cell if you cannot wait and need his immediate assistance – 720-220-2277. Attorney H. Michael Steinberg is passionate about criminal defense. His extensive knowledge and experience of Colorado Criminal Law gives him the edge you need to properly handle your case. If you are charged with A Colorado crime or you have questions about the topic of this article – Understanding Colorado Domestic Violence Crimes – Wiretapping 18-9-303 C.R.S. vs Obstructing Telephone Service C.R.S. 18-9-306.5, please call our office. The Law Offices of H. Michael Steinberg, in Denver, Colorado, provide criminal defense clients with effective, efficient, intelligent and strong legal advocacy. We can educate you and help you navigate the stressful and complex legal process related to your criminal defense issue. and all the other cities and counties of Colorado along the I-25 Corridor… on cases involving the subject of this article – Understanding Colorado Domestic Violence Crimes – Wiretapping 18-9-303 C.R.S. vs Obstructing Telephone Service- C.R.S. 18-9-306.5. In a Colorado domestic violence case - there are often common characteristics in the charges filed against the accused. Many times one party - seeking to call 911 is forced by the other party to either hand up the phone or the call is interrupted in other ways such as the destruction of the cell.